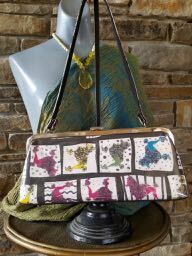 Vintage Carlos Falchi bag in mint condition. 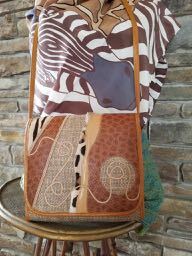 Mixed materials with an African theme. Art to Wear was the Hitsman style from the late '80s to 1990's. 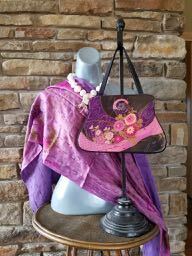 This stunning bag could hang on the wall as Artwork! Sweet little irridescent blue shoulder bag by Timothy Hitsman. 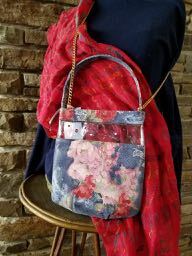 This bag has original sales tag and it's called Charm Sky. There is a convertible shoulder strap that can be removed or adjusted in length. Timothy Hitsman stole my heart with this lovely little box bag. Floral textured print embellished with tiny Spring flowers. 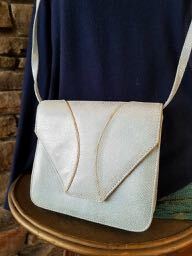 I can't help but smile looking at this mint condition vintage bag. 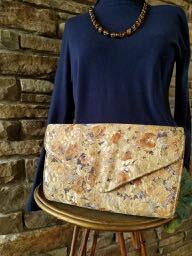 A funky little shoulder or handbag by Timothy Hitsman. A textured floral print with a clear studded panel and magnetic clasp is just perfect for fun this Spring. You can go to a wedding or evening out with this netted fabric clutch. 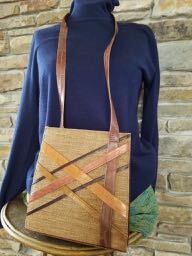 It has the versatility for all seasons as well as having a well hidden chain strap if you prefer to carry it over the shoulder. 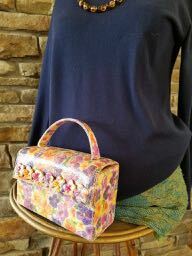 This is a beautiful vintage bag. The exterior shows almost no wear. The inside does have a couple of marks from a pen. 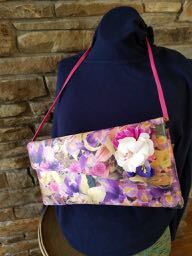 This explosion of Spring flowers is satin smooth with pedals adorning it's flap. Hitsman added a bright pink removable leather strap for added versatility. This bag can brighten up any outfit.